Jeans are timeless and the mariage between pale denim and dark denim can't go wrong ! I love those pants!!! Plus all the mixing and matching with denims seems to work really well in this look. I don't wear jeans often either but im definitely in love with those pants! Love it! The touch of the hat is amazing. This outfit makes me crave a denim shirt even more..
love your look, the denim wrapped around your waist adds an edgy appeal to the look. love it. 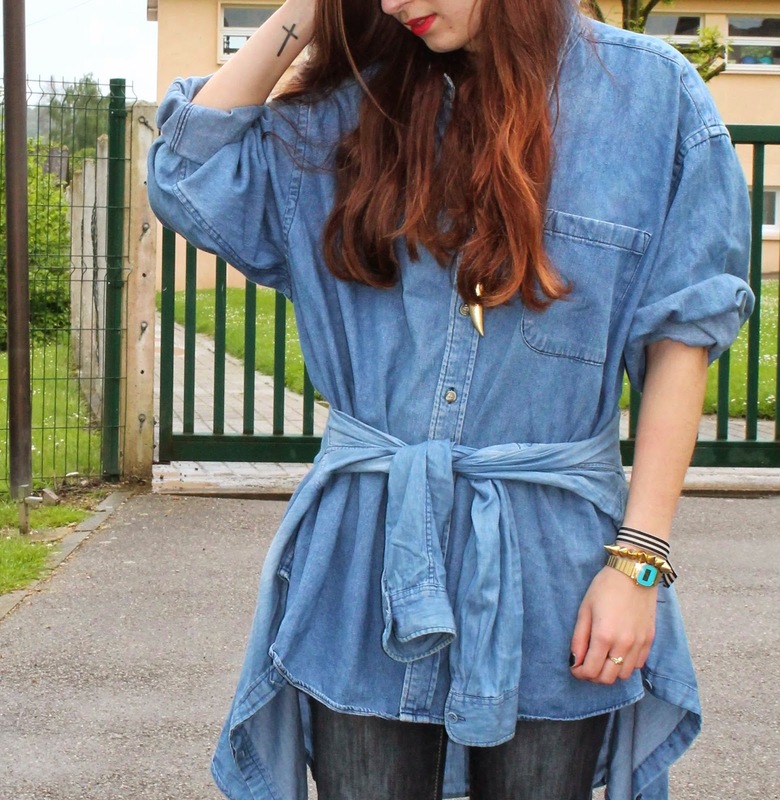 This denim look is amazing ! 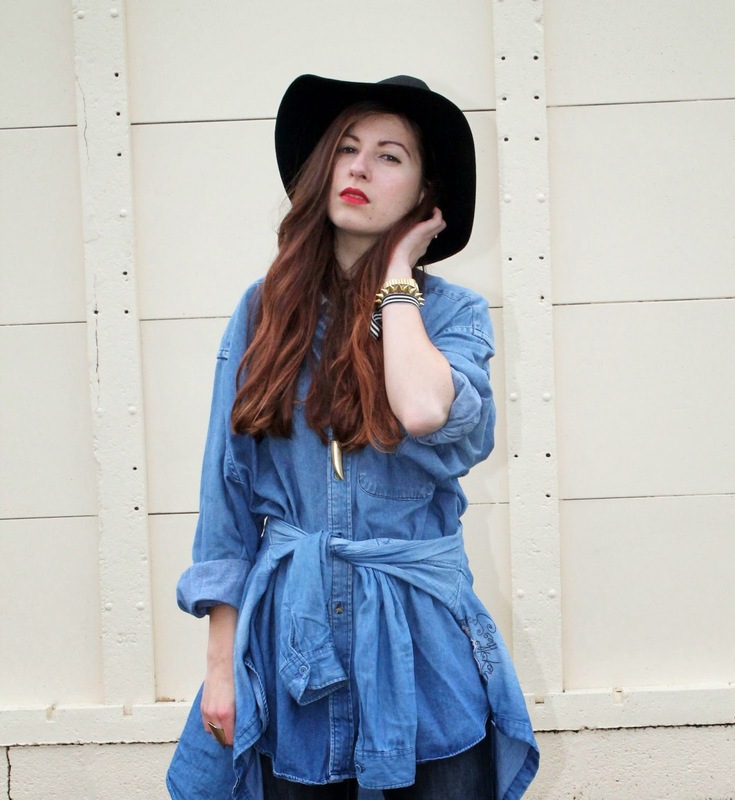 very cool denim on denim look. Cool total denim with this hat.